Your "Awareness: Message: Creating awareness of who you are and what you do in a casual and compelling manner is a crucial part of your personal and professional identity. An “Awareness” message is a term that is meant to describe your personal greeting about your service or business “offering” you use with a person if you only had a short time to do so. Correspondence Course and Email Communication with Randall Loop. Complete at your own pace. Typically requires up to 3 hours. A "Connection" Story: Once you have attracted the attention of someone and the opportunity for greater connection. It is vitally important that you are able to be real. Being real creates a feeling of comfort that others will positively respond to. One magnificent way to connect is to share an emotional personal story as it relates to your life, service or business. This will assist others in imagining how direct connection and time with you would be beneficial. Being "Present" with Appreciation: Now, that you are spending time personally or professionally with someone. You can greatly assist the relationship if you remove potential hindrances by holding a “Presence” of appreciation. This means to decrease your level of importance and expand your level of presence by actively being in "appreciation" as the quiet listener, friend, associate or guide. Correspondence and a LIVE Webinar Session with with Randall Loop. 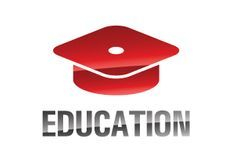 Can be completed after having completed Awareness and Connection Correspondence portions of the course. Can be done as an Individual or Group Webinar Session requiring up to 3 hours. 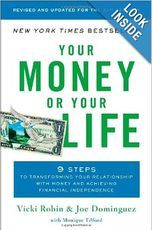 Your Money or Your Life/YMOYL a best-selling book and study course by Vicki Robin & Joe Dominguez – a 9 step Program for personally Re-Tooling your conscious activity with money leading to transformation, fulfillment and purpose. Learn to Create a Spiritually Sustainable Relationship with Money! Step 1: Listen to the FREE Overview with the Author and Introduction by the Facilitator at LINKS below. Step 2: Make a your Payment of $59 to Begin the 7 Session WEBINAR Course ANYTIME! Step 3: Obtain a copy of the Your Money or Your Life Book Online or barrow from the Library/Friend. Available at the Link above! A Portion of Funds Donated to Sponsoring Organizations! "Upon receipt of payment you will receive an email with Participation Instructions & Printable Study Guide"
You will have Email Contact with Randall Loop the Instructor and your YMOYL Coach ANYTIME!